Golf is not something you pick up overnight. It takes years of practice and you are constantly improving and learning. Although more schools now offer golf than in the past, and there is a growing number of junior golf clubs and golf tournaments around, there are still not that many young golfers. This is a pity as it is a great sport and by only starting in their 20s or 30s will leave them behind their fellow golfers who played from a young age. In this best golf driver for 13 year olds review we’ll take a closer look at the driver best suited for younger golfers. Why Do Juniors Need Special Clubs? There are a number of reasons why teenage players should have their own clubs, but one of the most important one is that when given an opportunity to hit a few balls, they are invariably given an adult club and far too many instructions. They are soon going to grow frustrated and lose interest in the game, possibly for many years. Adult clubs that have been cut down are also not the answer because all you are addressing is the shaft length. Many other design modifications needs to be made when making a club a junior can swing well. This will improve their knowledge experience and help them to enjoy the game a lot more. Most junior clubs are sold as sets but there are a number of great standalone drivers designed specifically for the younger market. They range from inexpensive drivers to some that are in the same price range as adult drivers. It really depends on how seriously they intend to learn golf. You could always start will a less expensive model and if they are enjoying the game and committing to it, you can upgrade to one of the higher priced models. Whatever you decide, a driver specifically designed for a younger golfer will give them a great advantage and make the sport much more appealing to them. For the purpose of this article, we have focused on the best golf drivers for 13-year-olds. That is generally the age a younger golfer starts to take it more seriously and it’s probably time to start investing in better equipment to help them improve and grow their passion for the sport. It is important to note that at that age, children are growing very fast. Another factor is that not all 13-year-olds have the same height and build. So do not get too hung up on the specific age quoted but look at shaft length, club weight, and the various factors we discuss below. Drivers that have designed for junior players are significantly lighter as they lack the strength of an adult. This will help them swing with greater speed and more control. Measure the height of the youngster the club is intended for to ensure you get the correct shaft length. Many people are tempted to purchase a driver slightly longer than is needed as they grow so fast. This could lead to frustration from the lack of control and general difficulty of using a driver that is too long. You could go for a length fractionally longer and they can choke down their grip fractionally but don’t overdo this. Grip size is also very important as the 13 year old will generally have smaller hands than an adult. As a 13-year-old golfer is still perfecting his swing, look for a club that has a big head with a large sweet spot, which will make it easier to strike the ball correctly and will be forgiving when the ball is struck off center. Junior drivers are designed to be not only lighter but to allow more flex. This will make it infinitely easier to achieve a decent loft, launching the ball well into the air and improving distance. A junior will have great difficulty hitting a decent shot with a stiff shaft. Having studied the drivers on the market that have been specifically designed to suit the younger player, we have considered the specifications and features of many junior drivers. We looked at a number of reviews and read countless comments and feedback from people who have purchased these drivers. Based on the in-depth research, we came up with our selection of the 5 best drivers for 13-year-old golfers. The adjustable loft and flexible graphite shaft have been tailored to suit the style of a younger golfer. The adjustable 10 gram weight is easy to move and will change the center of gravity (CG) according to the golfer’s swing speed, style, and skill. A bit of experimentation at the driving range is recommended to see what adjustment has the best result. Moving the CG forward will provide more of a punch with better roll. Setting it further back will give more height and a better carry. The MyFly8 Technology with SmartPad means you are able to adjust the hosel to select the most suitable loft for your swing. The Forged 8-1-1 Titanium E9 Face has variable thickness, creating a thinner, lighter face that improves energy transfer for greater distance. They also incorporated the Speed Channel Face with face reinforcing, also improving speed and distance. While these features maximize ball speed to aid in distance, they also make the driver super forgiving. All round, this is a brilliant driver for the junior who intends to pursue the sport. This is very much a junior version of the successful and popular adult M2. 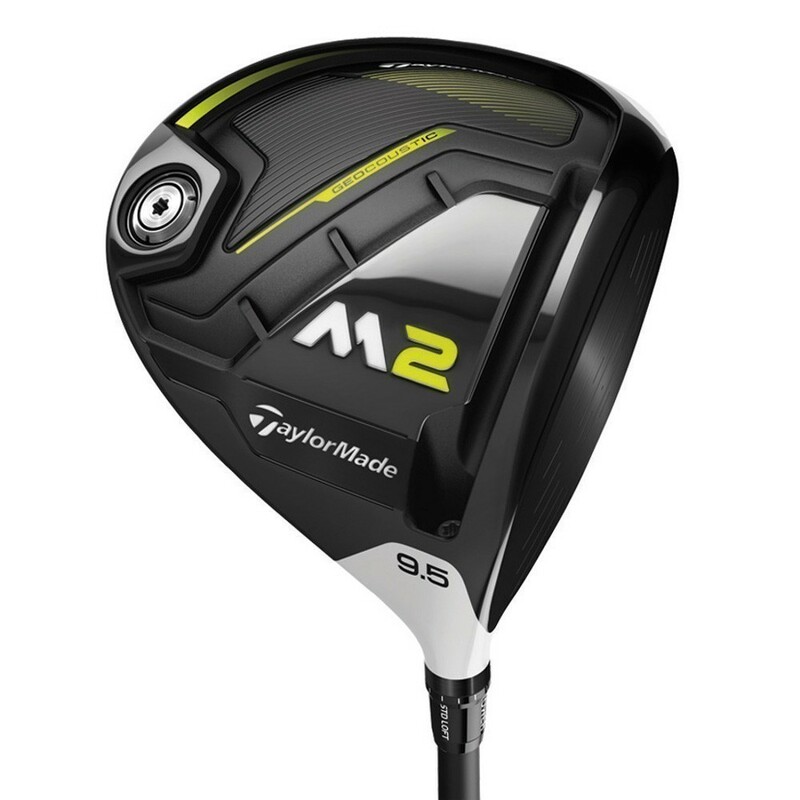 They have kept most of the features that have made the M2 driver one of the top choices for adult golfers. These features include the Speed Pocket and Face Slot technology that work the same way as the standard M2. With a 400cc head and large sweet spot, you can expect extreme forgiveness, something those still learning will really benefit from. The low center of gravity, great loft, and flexible shaft will help the golfer get a good loft and carry. 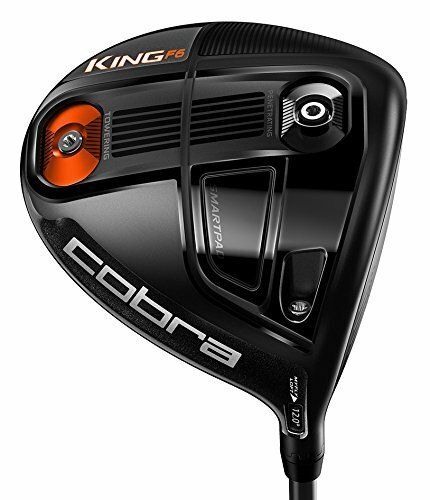 Apart from reducing weight and shaft length as well as increasing trajectory, Cobra has kept the junior driver very similar to its older brother. 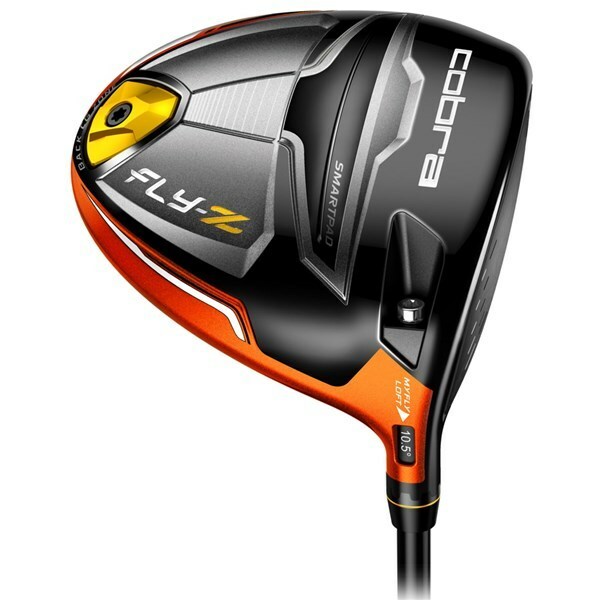 The standard Fly-Z is a great driver and any junior playing with a club of this nature, that has been specifically redesigned for their height and size, will only benefit from the great design and features. The weighting is set back and low for improved trajectory and low spin while maximizing ball speed on impact. The MyFly8 technology means that you will be able to adjust the loft to suit your swing speed perfectly while also letting you adjust it as you improve. The adjustability gives you 8 options and are simple to alter. The SmartPad ensures a square face when addressing the ball. A serious junior golfer will get a lot out of this driver and it will help their game immensely. 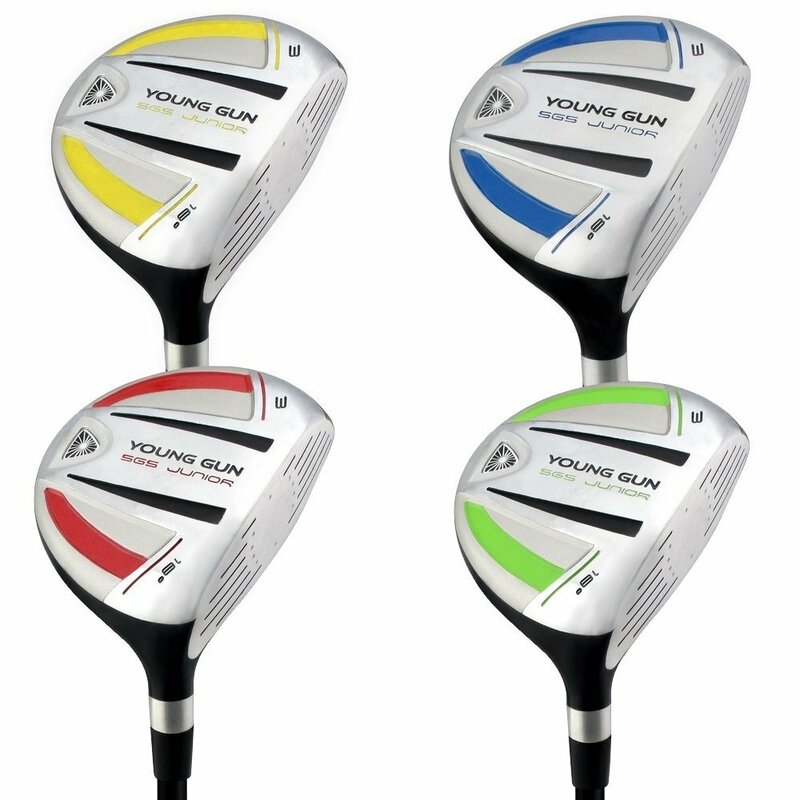 Young gun is a rising name in the junior golf equipment market and are putting a lot of thought and effort into designing quality clubs for younger golfers. The SGS V2 features an oversized 350CC head for great forgivene﻿﻿ss﻿﻿. They have made the entire driver very light to make swinging a lot easier. This will improve swing speeds and maximize distance. The loft has also been designed with the early teen golfer in mind. The light, graphite shaft will also improve the swing and give the player more control and allow them to achieve a better loft. 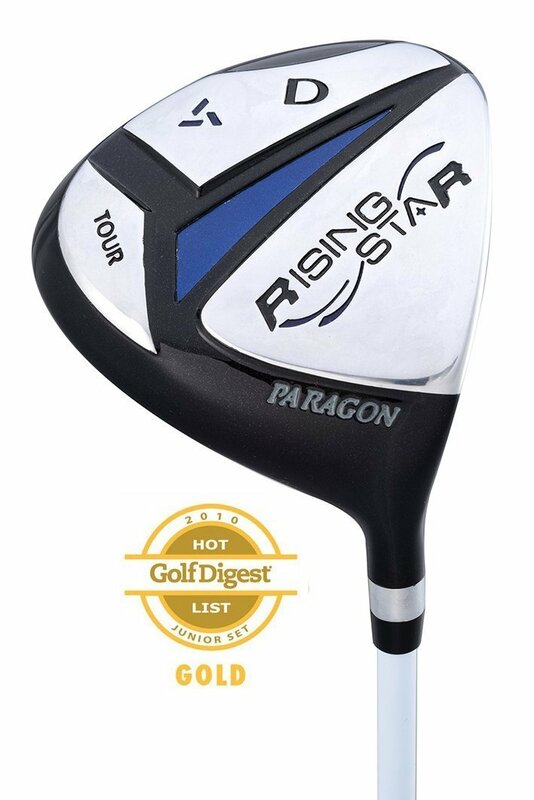 Paragon has incorporated their Dynamic Dual Kick System (DDKS) Technology in the shaft of this driver. What this means is that there are two kick points on the shaft creating more power from the swing. The low torque aids in control and improved accuracy. The titanium head is designed to produce maximum energy transfer on impact which will result in longer shots with a good roll. The 340cc head is highly forgiving. There is a wide range of prices on the market so the choice of driver will depend on the commitment of the player. The most important thing to do is selecting a club such as the ones we reviewed that has been designed specifically to cater to the teen golfer. This will make the game that much easier to learn and more satisfying to play. Expecting a junior to play with unsuitable, long, heavy clubs will only put them off the game. Fairways and greens!